STEAMBOAT SPRINGS, Colo. -- Daniel Hohs only recently moved to the Front Range -- a 415-square-mile section that is a gateway to Rocky Mountain National Park -- and was out on an open trail, his favorite pastime, when tragedy struck over the weekend. 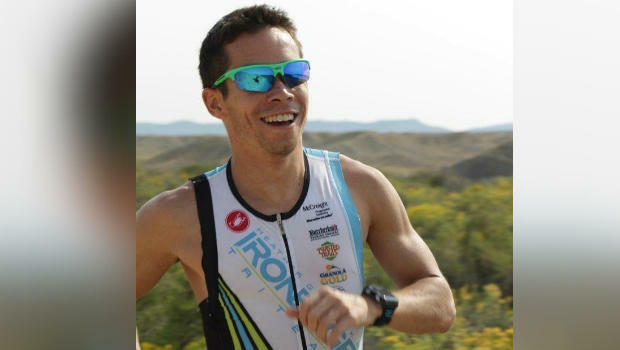 The 31-year-old endurance athlete died Saturday after he was bitten by a rattlesnake, CBS Denver reports. According to police, Hohs was about 1.5 miles up from the Mount Galbraith trail head when he was bitten on the ankle. The station writes that Hohs was a beloved member of the small mountain community. The Steamboat Springs community is planning to organize a gathering in the coming weeks to remember Hohs. In August 2014, Hohs became an Ironman when he completed his first full-distance race in Louisville, Ky.
Hohs was training with Heather Gollnick on the IronEdge triathlon team. "Dan was so full of life," Gollnick told CBS Denver. Most recently, Hohs was hiking and biking Colorado mountains with friends. "He was out there doing what he loved to do, whether it was doing a 14er and riding his bike to the next 14er while his friends rode in the car," Gollnick told the Steamboat Pilot and Today. The Jefferson County Coroner says they have never seen a case like this. Rattlesnake bites are common but very rarely are fatal. Test results could take several weeks to figure out what factors lead to Hoh's death.